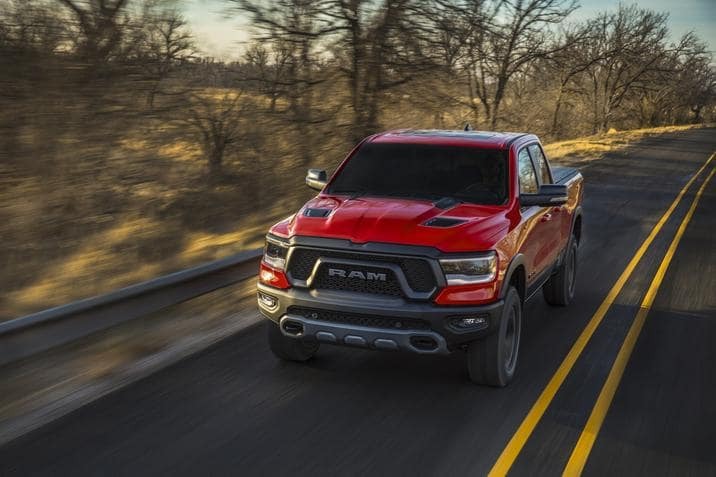 If you’re a pickup truck fan, the new 2019 Ram 1500 has more to offer you than ever before and in a highly competitive sector, each year the outstanding truck comes out on top. Sometimes it’s hard to keep track of the additions to what has been a successful formula for the brand for many years and so we decided to highlight the most exciting differences between the 2018 Ram 1500 and the latest 2019 model. The latest model of this awesome truck has a whole new look, with a logo that’s even more striking than before. The old crosshair grille that has been Ram’s hallmark for years has been replaced a different look, with a grille that features active shutters for improved aerodynamics. The already meaty Ram 1500 is even more beefed-up in 2019. 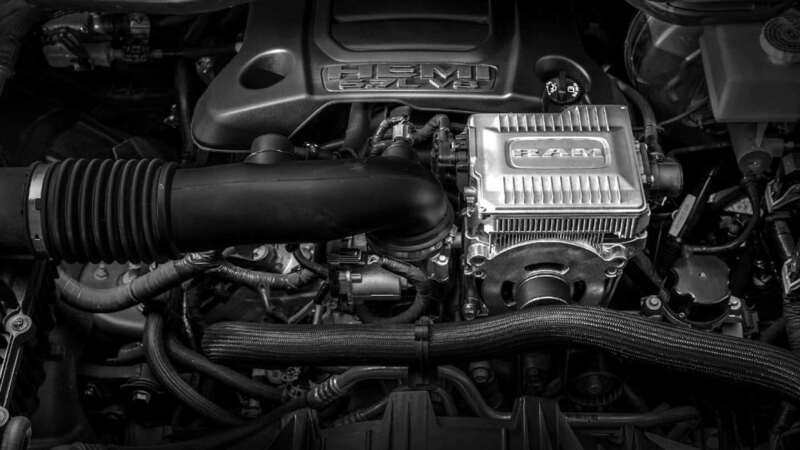 The 2019 Ram 1500 has the same two powertrain options as last year’s model: either a 3.6-liter V6 or 5.7-liter V8 engine. Both feature class-exclusive hybrid integration and 8-speed transmission and includes features like stop/start functionality and regenerative braking. The V8 version delivers 395 horsepower and 410 lb.-ft. of torque and the V6 305 horsepower and 260 lb.-ft. of torque. Of all the tech that’s loaded in the 2019 Ram 1500, the 4G WiFi hotspot and Uconnect® infotainment system is the most exciting addition. A large 12-inch touchscreen that has portrait orientation and is completely reconfigurable is available as an option on the 2019 Ram 1500’s Laramie trim and standard with the Longhorn and Limited. There is a much wider range of choice of trim compared with the 2018 Ram 1500. The base trim of the 2019 Ram 1500 is the Tradesman, with further options including the HFE, Laramie, Rebel and Longhorn trim. Available as a new paint option for the Laramie Longhorn is a two-tone finish that gives a fantastic custom look and inside is leather seating and real wood accents. Huge 20-inch wheels are available as standard, with an option for 22-inch. First seen in 2015, the Rebel trim makes a return in the 2019 Ram 1500 model, with its aggressive styling and overhauled design. This is the off-road driver’s dream with upgraded suspension, 18-inch wheels and all-terrain tires. Its styling gives it a bold and powerful look thanks to a striking grille and fender flares completing its new look. Royal Gate Dodge has a large inventory of new Ram trucks for sale in Ellisville, MO. You need to get behind the wheel of the 2019 Ram 1500 to truly appreciate how exciting this pickup truck is. The latest version has so many new features that it’s impossible to list them all but if you come down and visit us at Royal Gate Dodge Chrysler Jeep Ram, you can take a test drive and see the difference between the 2019 Ram 1500 and 2018 Ram 1500 for yourself. Contact us now or make the short drive down to our dealership today!